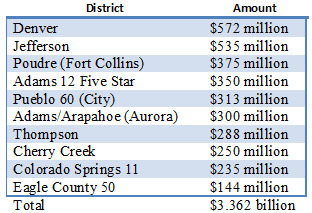 Colorado is one of nine states to share in Donald Trump’s latest television ad buy in spite of the fact it remains one of the least likely for Trump to win. 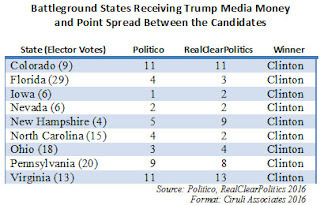 Both Politico and RealClearPolitics place Colorado 11 points out for Trump. The only other state he’s spending money in that may be more difficult for him to win at this point is Virginia, which is 11 points out in Politico’s battleground list and 13 points in RealClearPolitics. Trump finally has a professional campaign team spending money in targeted states. He was surviving on and losing with just tweets and travel. To get to 270 electoral votes, he must win some small states, like Nevada, Colorado and Iowa, to accompany bigger must-wins in Florida, Pennsylvania and Ohio. Colorado now leans Democratic, but it still has an independent reputation. 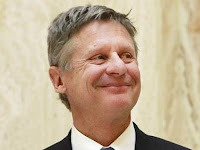 For example, Gary Johnson, the Libertarian, has 16 percent in a recent poll, and Trump would like a piece of that. His recent outreach to minorities is an effort to communicate to moderate suburban women – a key voting bloc in Colorado – that he’s not an extremist. He’d also like to undermine Hillary Clinton’s solid bloc of minority voters. The State Legislature Interim Water Resources Review Committee meeting in Steamboat Springs heard the results of a new poll sponsored by the Colorado Water Congress and the Colorado Water Conservation Board that Coloradans support many of the key elements of the state water plan, including investing money in conservation, reuse and storage. The hearing was convened by Chairman Representative Ed Vigil and Vice-Chair Senator Ellen Roberts. 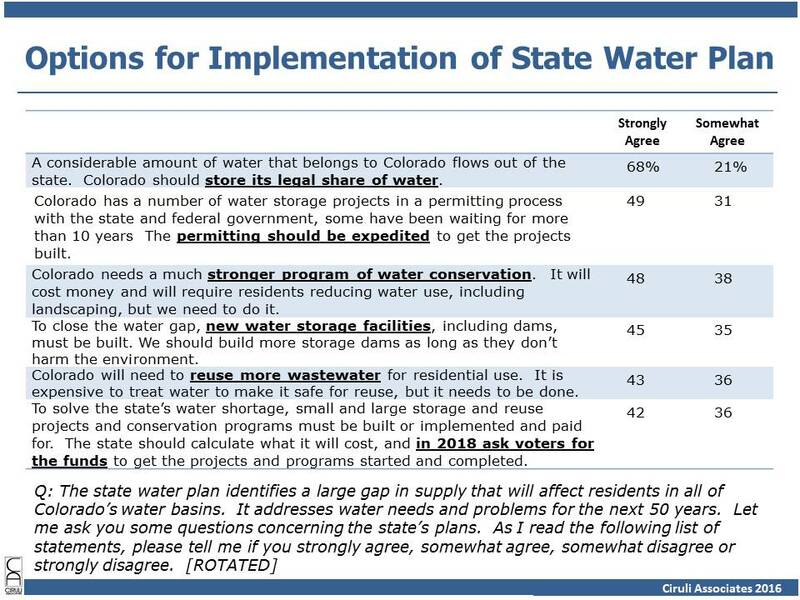 The results of this survey were compared to a survey conducted in 2013 for the Colorado Water Congress, which focused on the Public Trust initiative. The goals in 2016 are more proactive and identify those factors important to the public to help implement the state plan. 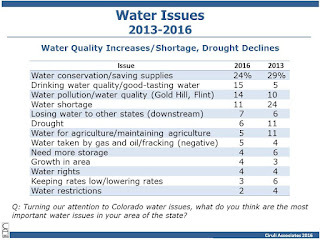 In reporting the survey, it was pointed out that opinion has shifted from drought and water shortages in 2013 to water quality in 2016. 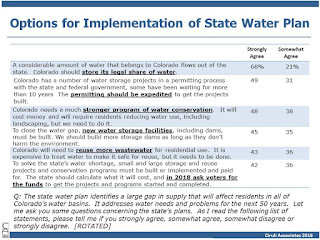 Voters also claimed to be willing to consider a tax increase to consider funding a package of water infrastructure improvements. The survey was conducted by Ciruli Associates from August 7 to 16, 2016 with 712 voters. The margin of error was ±3.7 percentage points. The survey was conducted by live interviews on telephone. Forty-nine percent of interviews were conducted on cell phones. John Ensslin, long-time Denver Press Club member, has launched a club podcast on the club, its history, and the state’s long, sometimes wild, journalistic traditions and personalities. In the first podcast, long-time club president, Bruce Goldberg, provides some club history and I talk about 35 years as a media commentator and pollster. Listen in here. Much of what has happened over the 35 years has surprised me. One never knows the direction fate will take you. Outside forces are powerful. I began with the Rocky Mountain News and it lost out in the newspaper wars. But I’ve been with 9KUSA since the 1980s and they have been the Denver area TV news leaders the entire time and are strong today. Colorado has been a rich environment for commenting about politics and public policy with a host of interesting leaders and issues to track. In the most recent decade, Colorado has been a swing presidential state, and that has made us a center of national attention. 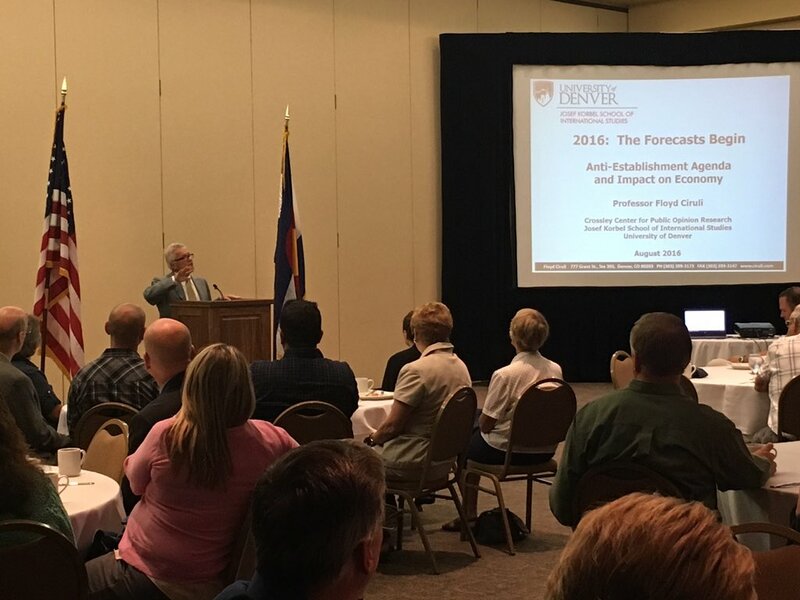 Colorado has increased in population by more than 60 percent since I began my career in the 1980s. That growth contributed to the state’s shift from very conservative politics in much of the 1990s to a more progressive era in the new century. Hopefully my polling and analysis have contributed to the public understanding of the transition and its causes. And polling has changed substantially over the period. Today it is more ubiquitous, complicated and controversial. More than half of many surveys are conducted on cell phones. But I believe it still provides an accurate measure of public opinion which can help inform our public dialogue. It also allows officials to make better choices and accomplish their goals. I am working on interesting projects today in an exciting political moment for the country. The blend of media, public opinion and public policy that is combined in my firm has been exciting and very productive. A new Ciruli Associates statewide poll tested the single-payer health care proposal and the so-called Raise the Bar initiative. Upwards of a third of voters are unfamiliar with and uncertain on how they will vote on the two initiatives as the election season approaches Labor Day. The ColoradoCare initiative is losing 30 percent to 45 percent, with a quarter of voters (24%) undecided on how they will vote. This result is similar to a Ciruli Associates poll in June in the Denver metro area (56% of the state’s voters). Proponents have made no progress and, in fact, Democratic Party support essential for them to have any chance has fragmented in recent weeks. The Raise the Bar initiative to change the way the state constitution is amended is mostly unknown to voters, with a third (33%) stating they don’t know how they will vote. Among 67 percent who have a view, the proposal is winning by 9 percentage points (38% favor vs. 29% against). 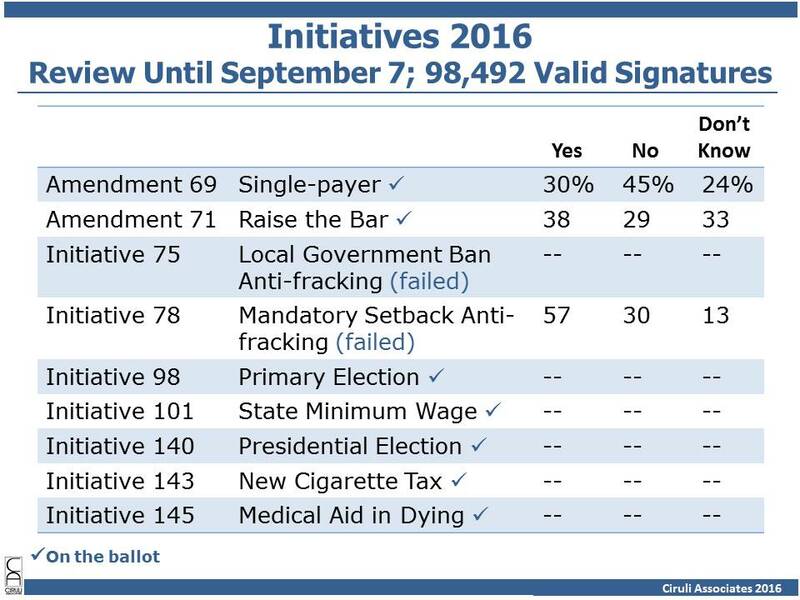 Although the anti-fracking initiatives failed to make the ballot, a test of the mandatory setback language indicates that voters were willing to pass it on a first reading. The failure to gather sufficient signatures reflects the diminished local passion and lack of out-of-state money that might of helped pay for professional signature gatherers. Needless to say, if it had made the ballot, there would have been a powerful campaign in opposition. 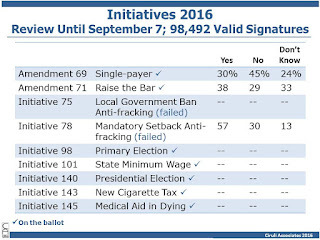 There will be seven initiatives from voters on the ballot and two housekeeping-type amendments from the legislature. 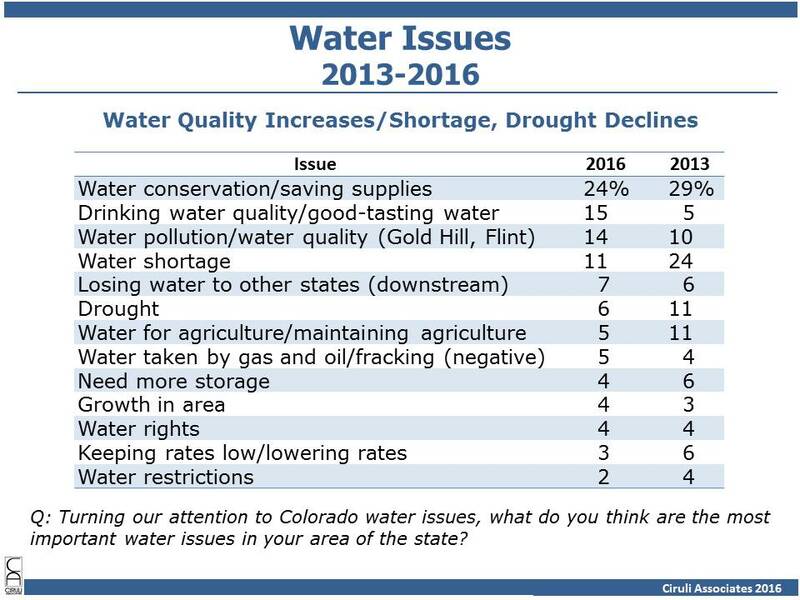 The survey was conducted from August 7 to 16, 2016, with 712 Colorado voters by Ciruli Associates. It has a margin of error of ±3.7 percentage points. Chris Woodka, the Pueblo Chieftain premiere water reporter, will retire soon and join the Southeastern Colorado Water Conservancy District. Thanks to Chris for years of detailed coverage of water news, projects and policy. 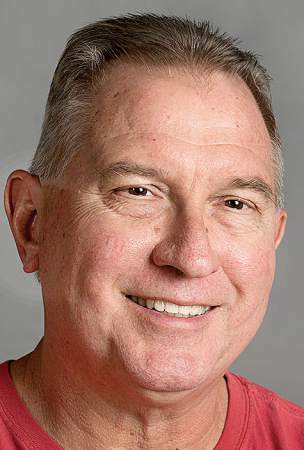 Thanks also to Bob Rawlings and his Pueblo Chieftain for their commitment to coverage of water and support for Chris Woodka’s career. The big news on the presidential race in Colorado is that the state is no longer considered a battleground (The Buzz, July 22, 2016). And, indeed, Hillary Clinton is so far ahead she has withdrawn a television buy and is depending on her ground game (which is extensive as Donald Trump’s is miniscule). It is unlikely Clinton will reenter the state’s media market unless the race tightens substantially nationally, and then Colorado could come back into play. The Gender Gap is Net Clinton Win. In 2014, Republican Cory Gardner won the gender gap by 4 points. He lost women to Mark Udall, but won men by more. Trump is losing the gender gap in Colorado by 21 points. He’s even losing the White gender gap (by 12 points), which is doom in races where more than a quarter of the electorate is non-White, and Clinton has more than 30 points of advantage. Millennial voters (aged 18 to 34) are identifying with independent political status and are giving near majorities of their votes to independent presidential candidates. 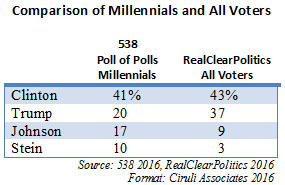 In a statewide Ciruli Associates poll, 38 percent of Millennials identify themselves as independent more than any other age group and nearly equal to the number who claim to be “strong Democrat” (29%) and “not so strong Democrat” (11%). 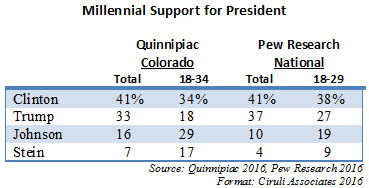 The latest Quinnipiac Colorado survey shows 46 percent of Millennials support independent candidates Gary Johnson, the Libertarian, and Jill Stein, the Green Party candidate. 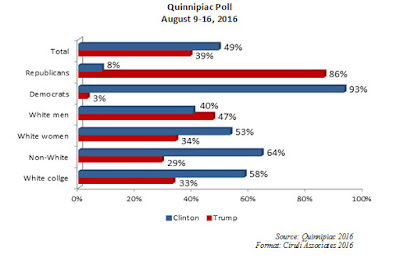 Donald Trump and Hillary Clinton together attract 52 percent. In general, Johnson voters are younger, White and more independents. He tends to attract more Republicans than Democrats. Nate Silver’s analysis of a half dozen recent polls of Millennials show Johnson getting 17 percent or nearly double his current average of 9 percent from all voters. Congratulations to all the world athletes who participated in the 2016 Rio Olympics. America is already great. 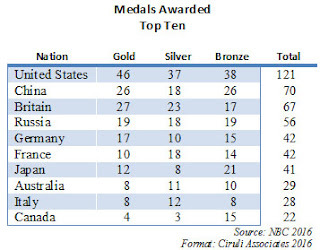 Its athletes beat the state sponsored Olympic machine of China by 50 medals and Mr. Putin’s decimated team due to corruption by more than two-to-one. The Denver Press Club Hall of Fame will induct me at a Press Club event September 9, 2016. Below is a reprint of a DU Newsroom news release. 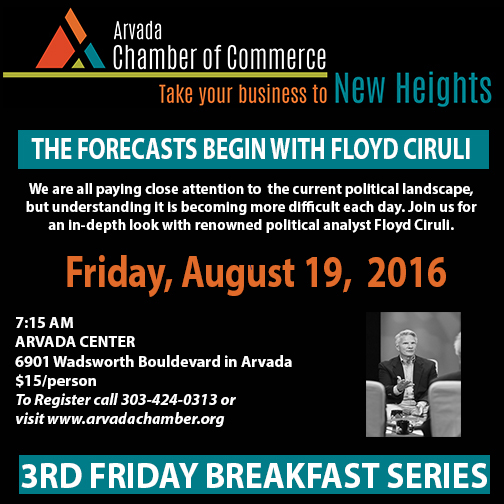 DENVER—August 15, 2016—Political pollster and analyst Floyd Ciruli will be inducted into the Denver Press Club's Hall of Fame at a September 9th banquet. 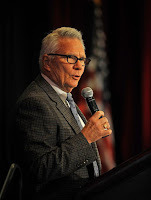 Mr. Ciruli heads a Denver-based research and consulting firm, Ciruli Associates, and has provided political commentary, analysis and polling for the past 35 years for both local and national media outlets. 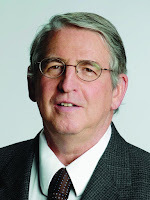 He hosts Colorado's leading blog for politics and trends with more than 4,500 followers at www.fciruli.blogspot.com. Mr. Ciruli has served as a regular commentator for a number of media outlets, including on-air election night coverage for 9KUSA beginning with the 1988 Denver International Airport election. He also conducted election polling for several media outlets, and was cited as one of the country's most accurate pollsters on Nate Silver's 538 website. In addition, he regularly writes guest editorials on political topics. 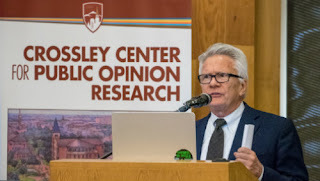 In 2014, he helped create the Crossley Center for Public Opinion Research at the Josef Korbel School of International Studies at the University of Denver, where he serves as director and teaches graduate courses in public opinion and foreign policy. He is past-president of the Pacific Chapter of the American Association of Public Opinion Research (AAPOR) and an active AAPOR member. Mr. Ciruli also is past-president of the Georgetown Law Alumni Board. He has led several local and statewide ballot initiative campaigns, including the Denver metro Scientific & Cultural Facilities District (SCFD) from its inception in 1988, and each SCFD renewal – including on the upcoming 2016 ballot. He also led the Great Outdoors Colorado campaign, two successful bond issue campaigns for the Denver Public Library, and others. A native of Pueblo, Colorado, Mr. Ciruli received a Bachelor's degree from the University of California Los Angeles, and a law degree from Georgetown University. One of the best questions at the Arvada Chamber of Commerce Leadership Breakfast was could the debates change this race? Clinton leads by 5 points in national polls and 11 points in Colorado. Possibly, but the general rule is that debates don’t change a race. However, this year doesn’t follow the rules very well. Recall that Mitt Romney beat Barack Obama four years ago in the early October debate here in Denver. But Obama went on to win the race by 5 points, largely because his strength in battlegrounds states was unshaken even while his national polling numbers slipped for a time due to the debate. There are several reasons to be extra cautious about calling the race this year. People remain very unhappy about the direction of the country, they desire some amount of change, they’re worried about the future for their children and neither candidate is well thought of. In addition, as much of July demonstrated, this is an election highly effected by outside events, such as the Dallas shooting, the Nice terror, the Russian hacking, and unforced errors like the Comey testimony and the attack on the Khans. The summer polls are still in pre-season. The first polls after Labor Day will be most important. If Clinton is ahead beyond the margin of error at that point after all the pollsters tighten their screen techniques to capture most likely voters, Trump is in trouble. 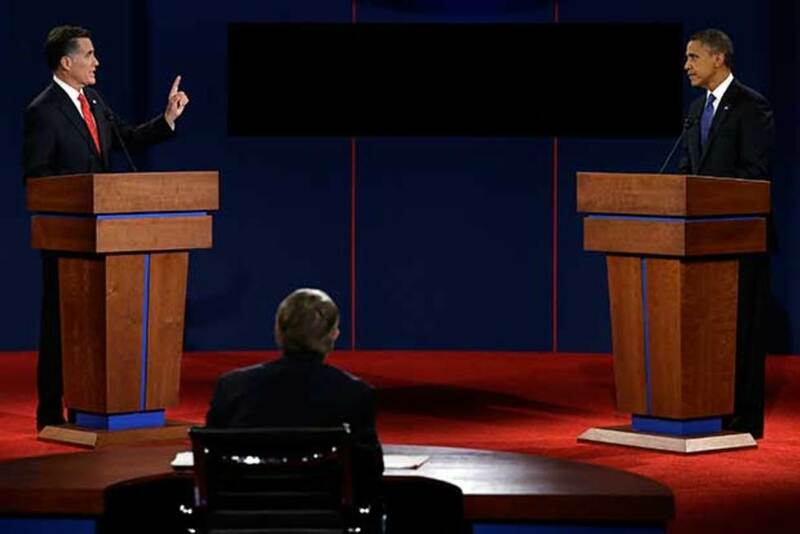 The first debate in late September is likely to have record viewership. Trump may need it to change the direction of the race. If Clinton is still in the lead, she will just need to demonstrate competence and confidence. She wins if it’s a draw. Hillary Clinton is now banking Colorado in her count to 270 electoral votes. The latest Quinnipiac poll shows Clinton beating Donald Trump by 10 points head-to-head and by 8 points in a four-way race with Gary Johnson, the Libertarian, and Jill Stein, the Green candidate. In the head-to-head race, which is most useful in comparing internal differences, she’s consolidated Democrats (93% compared to Trump’s 86%) and is surprisingly winning men (45% to 43% Trump). White men she loses 40 percent to 47 percent to Trump, but she is winning 10 percent of Republican women. As noted by many analyses, she has a huge margin among White women (19 points), while he has a modest lead among White men (7 points). Her lead among college educated voters of 25 points is a new phenomenon, suggesting Trump has lost the old base of the Republican Party. 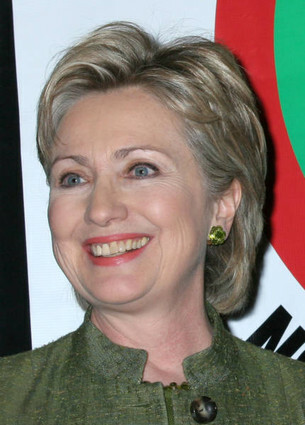 When added with a 64 percent to 29 percent advantage among minorities, her current position is formidable. Colorado tends to be more supportive of independent candidates. This is confirmed in the latest Quinnipiac poll in Colorado, which shows Gary Johnson, the Libertarian candidate, with 16 percent, nearly double his national average. If Colorado decided who got on the debate stage, Johnson would make it. Johnson ties Donald Trump among self-declared independent voters (Johnson 24%, Trump 25%). He also does well with Millennial voters, only 5 points behind Hillary Clinton (Johnson 29%, Clinton 34%). Republican Senate candidate, Darryl Glenn, is still struggling to unite his own party nearly two months after his primary nomination and less than two weeks before Labor Day and the start of the political session. The latest Quinnipiac poll shows incumbent Michael Bennet winning 54 percent to Glenn’s 38 percent. Glenn receives only 84 percent of identified Republicans whereas Bennet has the support of 96 percent of Democrats. Bennet is also winning independents by 22 points. 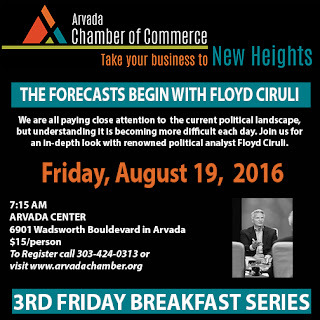 Floyd Ciruli at Arvada Chamber of Commerce breakfast on Friday, August 19. Is He Fit to Be President? A fitness test in the Army is straightforward – 42 push-ups, 53 sit ups and run 2 miles in under 16 minutes. But for president, it’s more a general sense that a candidate is up to the task. Donald Trump is failing the test. During a year of primaries, he never convinced more than a handful of national leaders as to his basic fitness to serve. But, a sufficient number of voters weighed in during the Republican primaries to hand him the nomination. The convention of two weeks ago served to formally endorse him and appeared to launch his campaign. But the last week challenged that endorsement. His behavior not only reopened all the doubts about his ability to focus his attention and run a campaign, but it raised fundamental questions about his basic character and emotional control. 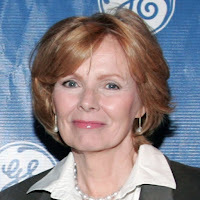 Two of the nation’s leading conservative columnists argued he is not “fit to serve.” Peggy Noonan wrote “The Week They Decided Donald Trump was Crazy” (WSJ, 8-6) and Charles Krauthammer wrote “Donald Trump and the Fitness Threshold” (Washington Post, 8-4). 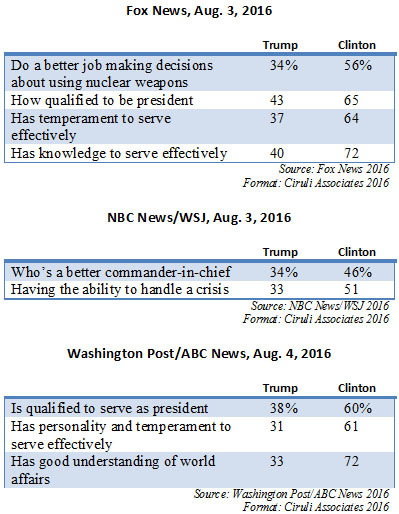 Trump’s bigger problem than a couple of columnists is that the electorate is also judging him unfit to serve. Three recent national polls ask a series of knowledge, character and temperament questions, in which he is barely endorsed by a third of the electorate and tends to lose to Hillary Clinton by 10 to 30 points. Cozying up to his party with a strained endorsement of Paul Ryan and John McCain and trying to stay on message for a couple of days were much easier than the task of upgrading his fitness to serve. Considering both active and inactive voters, Democrats are now a larger voting group than Republicans in Colorado. But, in terms of active voters; i.e., those who will receive ballots due to previous participation or being newly registered, Republicans form the largest group by 11,000 voters. Unaffiliated voters beat them both by more than 55,000 voters. A recent analysis of likely voters in this year’s presidential race indicates that fall-off from active to likely voters will be about 13 percent on average, with the largest decline among unaffiliated voters (20%). Registration shows how closely balanced the state is in its partisanship, with a substantial number of people undecided. However, it should be kept in mind that many registered voters have long left their original registration preference, and even more will shift parties and vote for the person in a particular election. That’s what makes it interesting. Adding in mil levy overrides, the total November request will be near four billion dollars. Educators have been dealing with rising expenses, especially salaries, and rapid growth. But the main attractions are low bond interest rates and a presidential election with high turnout. With Republican leaders forlornly waiting for pivots and reboots, the Trump campaign took a modest hit from the Democratic Convention into a massive week and a half rout. Donald Trump went from near even or ahead in one poll of polls on Friday the day after his convention, to a 7 point deficit among the aggregators, with a few polls showing the Republican ticket behind by double digits (Fox News – 10 points, McClatchy/Marist (8-3) – 15 points). (See opening forecast blog: The Forecasts Begin, 8-3). All four aggregators have Hillary Clinton up. FiveThirtyEight’s “polling mostly” aggregation is a projection of the popular vote. It went from even at the end of the Republican Convention to 8 points out today. CNN has started a poll of polls not to be left out. In Colorado, Huffington Post has Clinton up 6 points in pre-convention polls. It would be hard to believe the spread hasn’t increased during Trump’s disastrous last week. Politico’s battleground poll has her ahead by 9 points. The major forecasters all increased Clinton’s odds of winning, with the biggest jump from 538, which had been the most pro Trump going into the Democratic Convention. They moved from 50-50 to 85 percent Clinton. There is history that says post-convention polls often set the tone and trend into November, but this year’s projections have considerable caveats. The conventions were much earlier (it’s only August) and the election polling has been much affected by outside events (WikiLeaks) and unforced errors (Khans) (see blog: ISIS and Putin Drive Election Topics, 8-3). Also, while Clinton is ahead, she is still a weak candidate facing an electorate not happy about the direction of the country and very desirous of change. Elites are on the defense, and she is the establishment. All reinforcing that 90 days is a long time in the 2016 election cycle. Mike Coffman made national news with Politico coverage of his campaign ad to put some distance between himself and Donald Trump. It was a smart move. He is in one of the most vulnerable congressional districts in the country during a year where his party nominee is struggling and approval of the president of the party of his opponent is at a second-term high (51% in RealClearPolitics, several recent polls have it at 52% and 53%). Given the recent controversies Trump has stirred, Denver pollster Floyd Ciruli said he was not surprised by the ad. His opponent, Morgan Carroll, like most Democratic candidates, including Hillary Clinton, is essentially running an anti-Trump campaign. 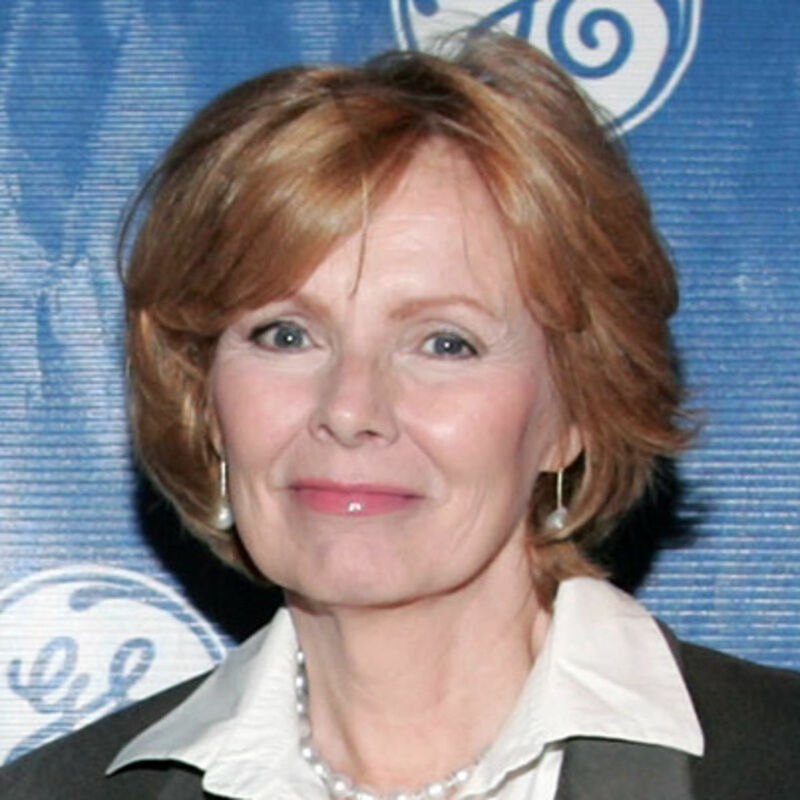 Hence, she and the Democrats were not happy with Coffman’s efforts and are pushing back with commentary and video. Coffman’s ad was national news because he was a prime example of Republicans bailing out on Trump, which has been the national meme since Trump took on the Khan family and disparaged Paul Ryan and John McCain. Although national polls dominate analyses of the presidential election, in fact, the race will be fought in a series of states that history and polling show can swing between the parties and candidates. 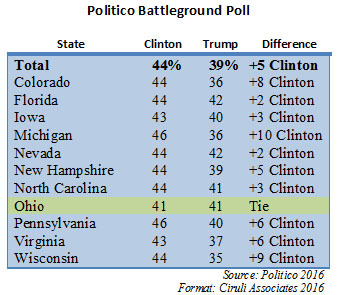 Politico, the online political report, is conducting a battleground tracking poll in eleven states. On November 8, more than 130 million voters will participate and the winner will likely need 70 million to win. But, in fact, reaching 270 electoral votes will target only 40 million Americans living in the following battleground states. At the moment, Politico has Hillary Clinton ahead 44 percent to 39 percent. 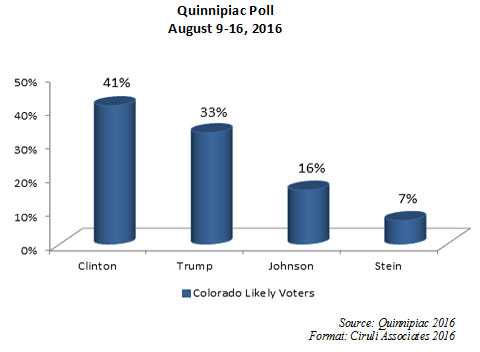 Colorado is a listed battleground state, although it shows one of the wider spreads for Clinton. Most analyses now list Colorado as “lean Democrat.” In fact, Larry Sabato’s Crystal Ball report has just shifted Colorado from “lean Democrat” to “likely Democrat.” Donald Trump is behind in all eleven states. Each state listed has five polls reported. However, some of the polls are three months old (see Politico polling average data here). See The Buzz: Trump: Can he run a campaign with rallies and interviews? Donald Trump simply can’t stay focused on the real job, which seems surprising for someone who has made millions in big real estate deals. Once again, he is bogged down in a multi-day fight with someone peripheral to the Democratic campaign, the parents of a war hero. No one commenting on this election is confident in suggesting that his behavior may cause long-term damage, but the timing and the nature of the last six days of interviews and tweets appear more serious than attacks on Judge Curiel last June and his previous altercations. The public and media are more attentive, with the conclusion of the back-to-back conventions. They are looking for the bounce. And it appears Hillary Clinton and the Democrats are winning the early post-convention polls with significant margins (6 points CBS, 9 points CNN). One of the main goals of the Republican Convention was to provide a show of unity. Given Senator Cruz’s unwillingness to endorse and the absence of so many party leaders, the effort was a mixed success. Nonetheless, it put the party’s dysfunction in the rearview mirror and shifted the attention to Trump and his vice presidential nominee, Governor Pence. His newest fight with the Khan family has led numerous party leaders to distance themselves from him again. A fifth or more of the Republican Party is still not committed to vote for the ticket. His behavior is hurting, not helping the effort. Party leadership desperately wanted Trump to “pivot” to a focused, disciplined campaign aimed at the Democrats and Clinton’s vulnerabilities. Instead, they got a repeat of his behavior that reinforces the Democrats’ claim that he simply does not have the temperament for national leadership. He appears thin-skinned, petty and obsessive about criticism. And, of course, he is being accused of frequently attacking minority populations. His family and friends claim he’s not prejudiced, but in these altercations, he often appears to be. Has the sheer number of fights damaged his reputation with wary Republicans and undecided voters? It’s early, but the target, length and timing of this fight make it a major distraction, and possibly the accumulation has hit a tipping point. National media outlets are beginning to publish daily forecasts, which combine national (and sometimes state) polling with other data (economic, historical, political trends) to offer a statistical prediction as to the winner of the presidential election. Also, several political websites provide an aggregate of the latest surveys, sometimes simply averaging the means and other times using a variety of factors to weight the polls before averaging the data. All three aggregators have Hillary Clinton up based on new post-convention polls favoring her. She is getting what looks like a bounce. The major forecasters include not only statistical models, but also political experts (such as Charlie Cook and Larry J. Sabato) who combine data with judgement as to the strength of the candidates and campaigns. As of August 3rd, Clinton is seen as having an advantage to win the election, and Colorado is consistently rated lean Democrat. The spread has widened since the end of the Democratic Convention due to a bounce and Donald Trump’s missteps. Much of the conversation at both national party conventions was driven by foreign actors – ISIS and Vladimir Putin. Part of the so-called “dark” aspect of the Republican Convention was the anti-terrorism rhetoric and speeches that were reinforced by near daily headlines of some terrorist atrocity: the Nice Bastille Day attacks, multiple Germany attacks, which along with the Normandy Church, overlapped with the Democratic convention. 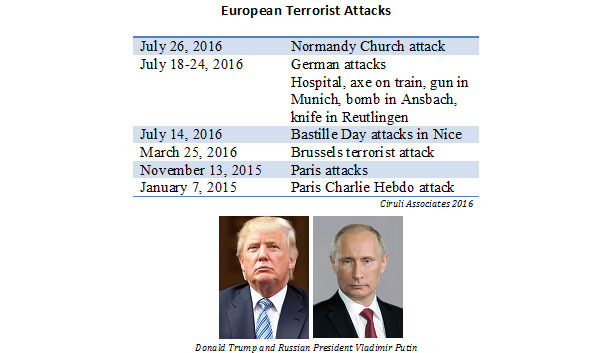 This list doesn’t include the Middle East and South Asia attacks during the two convention weeks. Democrats uncomfortably tried to ignore the issue. But, they were also beset by a foreign intrusion in the form of a WikiLeaks release of DNC emails that boosted the anti-establishment hostility of the thousands of Bernie Sanders supporters. It took ending the DNC chair’s career and numerous symbolic actions to tamp down a mini insurrection. Bizarrely, it appears Russian hackers were the source of the purloined emails.